Our clients can avail a wide range of Engine Mounting Plate Tata Heavy for various automobile applications. Manufactured using high-grade raw material, these also ensure quality and durability, as these are rigorously tested on well defined quality parameters. Further, these are available in both, standard as well as customized features as per the requirements of the client. 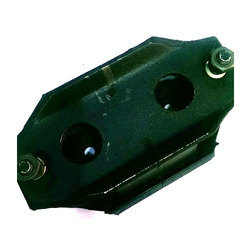 We offer a wide range of engine mountings, which are useful for many purposes. 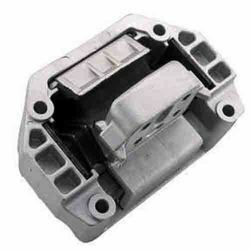 These engine mountings find extensive application in various industries. Moreover, our engine mountings are manufactured using qualitative raw materials to ensure durability and optimum performance at clients end. Engine Mountings are heavy duty mountings for high vertical static and shock load in compression whilst at the same time providing high isolation value in the horizontal shear direction. These types of engine mountings are designed & constructed in various types considering the requirement of load deflection characteristic.